Enable USB Debugging Mode. For most phones, you can find the option on your phone through: Settings > Developer Options > USB Debugging. If you can't find the option, please type "phone model + enable USB Debugging mode" in search engines to get detailed guides. Root your phone to get root privilege. Rooting means gaining root access to your device, so that the program gets permission to scan your phone. Since there are so many Android OS versions and phone brands, it's hard to find a single tool that can root all devices in high successful rate. Here are some commonly used root tools: iRoot, Kingo Root, oneclickroot, Root Genius, etc. Connect phone to computer via USB cable. Please make sure it is well connected, otherwise recovery result will be disturbed. After the phone is connected to computer, please click "Refresh Device" to detect the device. The program will show storage devices in your phone and display internal built-in memory (internal storage) and memory card separately. Select storage device and click "Next". 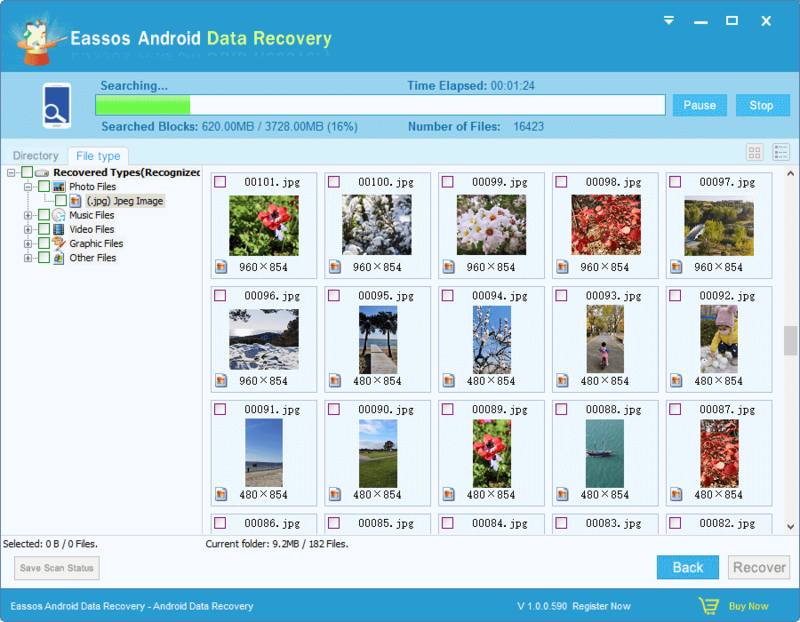 Then this Android data recovery software will make image and search for lost data automatically. After a while the image is created and the software starts to scan it and display lost files. 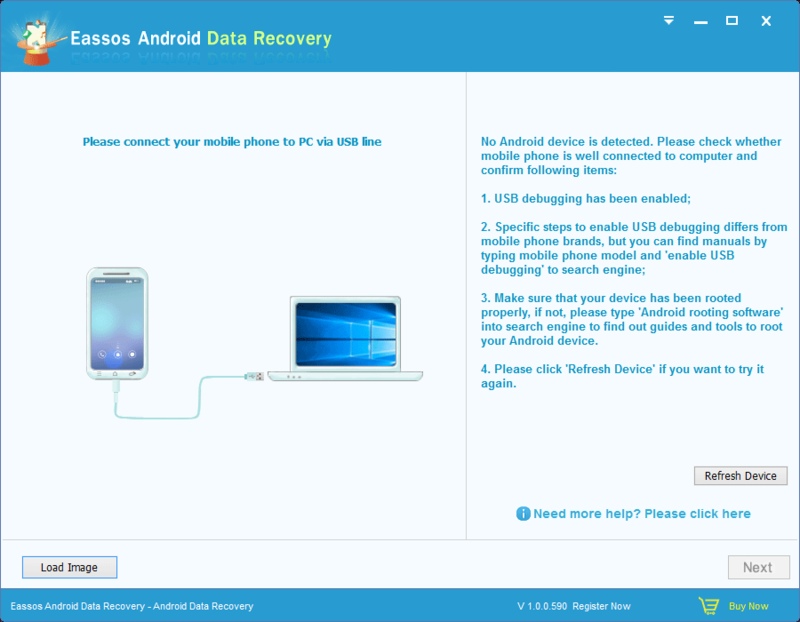 Eassos Android data recovery software provides useful file preview feature which helps to find out needed files quickly and identify whether data can be recovered correctly. Double-click file to open it and view its content and files like photos, video, audio, documents, etc. can be previewed. 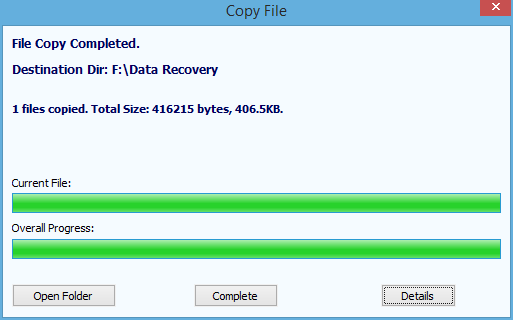 Select files you want to recover and click "Recover" button to save them to a secure location. Alternatively, after selecting needed files, you can right click mouse and copy files with context menu. Note: To avoid damaging lost data, please do not set target folder that stores recovered data in the partition that is suffering data loss. 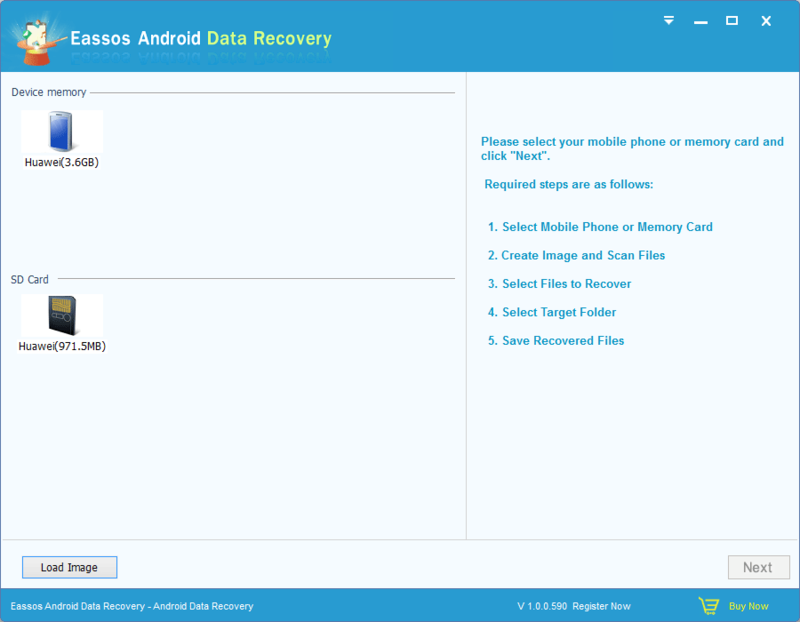 After setting target folder, this Android data recovery software starts copying data. When file copy is done, you can click "Details" button to view reports.